Clubfinearts will be t Artweeks@Akaretler with Ekrem Yalçındağ who has attended several international art platforms. His exhibition, titled 'Duality&Infinity' will be open to visitors in Akaretler, building numbers 37-39. Works of Suat Akdemir, Arzu Akgün, Bahar Oganer, Ozan Oganer, Mustafa Yüce, Zeynep Çilek, Şevket Sönmez, Abdulkadir Öztürk and Nilay Özenbay can be seen at MERKUR Gallery. The works of Gözde İlkin, Erdal Duman, Yasemin Özcan, Serkan Demir and Onur Gülfidan will be open to visitors on the third floor of Akaretler 37-39 in artSümer. The art pieces of Beatrice Gallori and Angelo Brescianini will be exhibited at Aria Art Gallery. Vogue Turkey Fashion photographers and the works of Emre Yusufi can be visited at Vogue Gallery and GQ Lounge, which are located at Akaretler 37-39. The selection 'Sad and Uneasy' from the collection of Öner Kocabeyoğlu and curated by Derya Yücel, can also be visited at Artweeks@Akaretler at Akaretler 55 between Sept. 17 and Oct. 15. 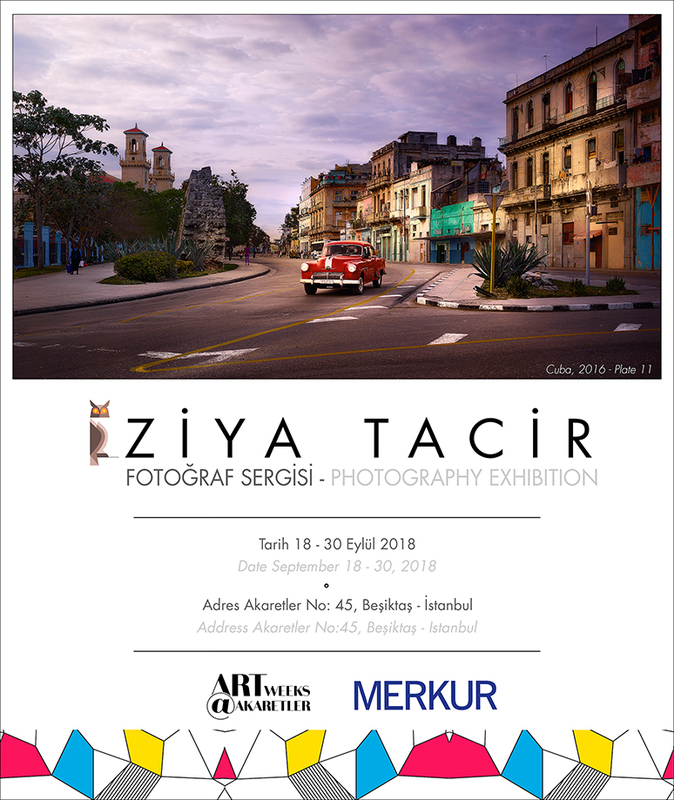 Photography artist Ziya Tacir will meet with art lovers at Akaretler 45 with his exhibition comprised of his latest works.